The British Geological Survey (BGS) is working on a new estimate of the amount of shale gas in Lancashire’s Bowland Basin after suggesting Cuadrilla Resources’ figure of 200 trillion cubic feet (tcf) – enough to meet national natural gas demand for 56 years – could be flawed. Head of energy Mike Stephenson said it is impossible for the BGS to verify the accuracy of Cuadrilla’s estimate for ‘gas in place’ in a 500 square mile area of Northwest England, as the Lichfield-based shale gas developer has not yet submitted its methodology for calculations. Concerned Cuadrilla’s estimate is inaccurate, the BGS is now conducting its own survey, which it hopes will give a clearer indication of how much shale gas is recoverable. “As far as I’m aware, Cuadrilla has not given a clear methodology for the basis of their calculations,” says Stephenson. “We are working on a new figure with a volumetric basis for the calculations, so we will come up with a much more accurate figure shortly”. The BGS’ official estimate of the potential resource of the Bowland shale is 4.7 tcf, significantly less than this September’s announcement by Cuadrilla, the only company in the UK to have drilled for shale gas to date. Speaking at this week’s Shale Gas Environmental Summit in London, Stephenson stated: “We worked out our old resource figure for the Bowland shale, somewhat crudely, by comparing the recovery rate for Barnett shale in Texas, which is the same geological age, and multiplying it by the land area of Bowland. Cuadrilla’s estimate of 200 tcf is about 40 times higher. “I’m not knocking Cuadrilla’s estimate because they have gas yield data from their two wells whereas we have none, because no-one has drilled shale gas wells in the UK,” he added. Cuadrilla halted shale gas drilling operations in May after two small earthquakes near Blackpool. Commenting on Cuadrilla’s report submitted to Department of Energy and Climate Change (DECC) on 2 November, which concluded a link between hydraulic fracturing, or ‘fracking’, and the earthquakes was “highly probable”, Stephenson said the BGS was not unduly concerned by the shale gas developer’s assertion that “the theoretical maximum seismic event of magnitude 3 would not present a risk to personal safety or damage to property on the surface”. DECC will review Cuadrilla’s findings in tandem with the BGS, the Health & Safety Executive and the Environment Agency. The Department was tight-lipped over when it would make a decision on whether to allow Cuadrilla to resume fracking near Blackpool. “DECC will take its time,” a geologist told Millicent Media, adding the UK’s 14th onshore oil and gas licensing round cannot be completed until a decision has been made. Stephenson said the lack of peer-reviewed research into shale gas fracking, particularly the potential contamination of water supplies, was of great concern to the British authorities. Only two peer-reviewed reports have been conducted into methane leakage and their conclusions are viewed as highly questionable by most geologists, he said. The BGS and the Environment Agency now intend to conduct a baseline study into the impact of fracking and potential methane contamination of groundwater. “We want to determine the background levels of methane in groundwater before anybody fracks so that any other methane found can be attributed to fracking,” explained Stephenson. Posted in Gas, Shale GasTagged BGS, Bowland, Cuadrilla, DECC, Earthquakes, Shale gasBookmark the permalink. “I’m not knocking Cuadrilla’s estimate” does not equal= it’s horseshit. It means they don’t know. The estimate of every other shale play is a story of sudden transformational massive move upwards in figures. The BGS are not shale experts: there are very few in the UK, with the possible exception of Richard Selley. The point that Cuadrilla’s figures are so “ludicrous” as the Guardian put it is that they are so completely different from what energy “experts” think is to miss the point. That the experts have been proven wrong is the entire story of shale. By the way think of this possibility: If Cuadrilla really wanted to blow people away with a truly game changing transformational figure, why didn’t they say 100 TCF? That would have done exactly the same trick. So think of another possibility: with nothing to really gain either way, perhaps they took a conservative view of the actual figures? I.E. you ain’t seen nothing yet, but you will by the end of next year. With all due respect, Mr Grealy, (which is very little indeed, in case anyone does not know who this guy is), the BGS are a far more expert on shale than you are. Unless I am mistaken, you have no geology background whatsoever, so how you have the audacity to call yourself a ‘shalegasexpert’ is beyond me – especially as you then go on to say ‘That the experts have been proven wrong is the entire story of shale’. The fact is you are a jumped up salesman whose eyes are bulging at the potential commissions you hope to make out of this industry. Either that or you are claiming to be a sexpert from the small Russian village of Shalega, which is frankly more credible. Perhaps Mr Grealy would like to draw on more current research by acknowledged global expert on rock fracturing – Prof Anthony Ingraffea – but no! Mr Greedy won’t like what he has to say about fracking, I can promise you that. I’m not really interested in how much there is, the story is that the BGS can’t verify Cuadrilla’s estimate and they are doing their own estimate. There’s a colossal amount of horseshit (hot air?!) flying around with shale gas right now. All I’m concerned with are the facts. Because Cuadrilla is not listed and not subject to Stock Exchange reporting requirements it could say there’s enough down there to power the entire world’s natural gas demands for a million years and while we’re at it, Lord Lucan and Shergar are down there too. They would of course lose credibility with such ridiculous claims. That said, I would imagine that shale gas developers want big numbers out there to influence government policy. If there’s 4.7 trillion cubic feet in the Bowland shale, which the BGS initially guessed, and only 10% is technically recoverable, then that’s barely a month’s supply, not 56 years. Puts a completely different perspective on things. The fact that the BGS say their figure of 4.7tcf is arrived at by using “the recovery rate for Barnett shale” makes me think that it’s 4.7tcf recoverable, compared to Cuadrilla’s 200tcf gas in place. So much of the discrepancy is through not comparing like-for like; but even a 10% recovery of 200tcf would mean you’re quadrupling the resource. 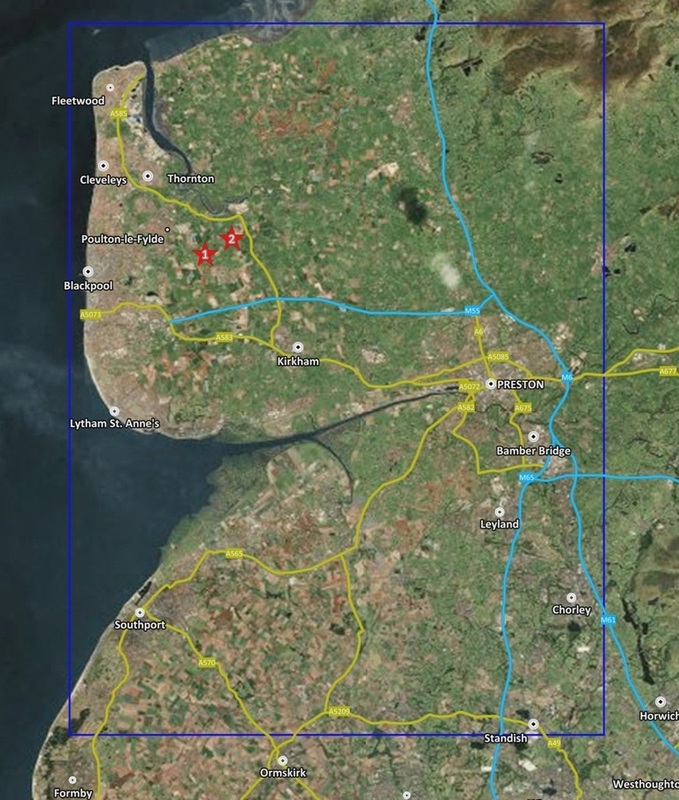 Which is just about plausible – Cuadrilla have indicated that their gas contents are at least as good as anything in the US, but I suspect their problems will come in faulting (UK has been crunched more than the middle of a continent like North America), planning permission and possibly ease of fraccing. 200 tcf for an area of 500 square miles is about 100 times higher than the gas industries estimate of 485 tcf for the entire South African field covering nearly 120 000 square miles. Wow! You never know your luck when you meet a White Rabbit! “That the experts have been proven wrong is the entire story of shale.” You can say that again! This company called HydroConfidence provides Shale Gas Safety solutions in regards to Downhole Monitoring and Hydraulic Fracking. (http://hydroconfidence.com/). I met the CEO and he seems very realistic in his goals and on how fast the Gas industry is willing to change. Is carbon capture & storage a dead parrot?